All the (virtual) world's a stage. The list of conditional statements is getting rather long here, but: If you have an Oculus Rift, and you also have the Oculus Touch controllers, and you like rhythm games or enjoy music, then it’s about time to don the headset once again. 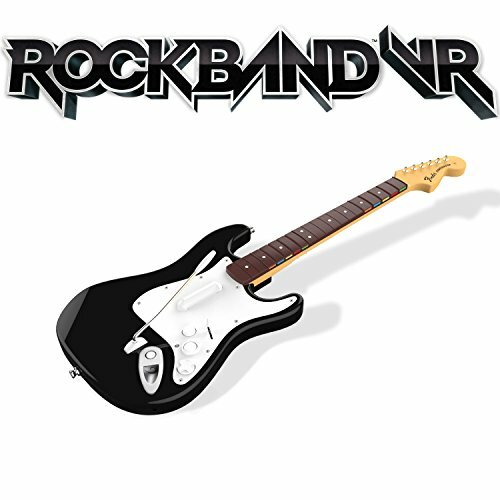 Rock Band VR’s finally been tagged with a release date. Look for it on March 23. It’s a big deal for a couple reasons. First and foremost Rock Band VR is one of those “Oh, duh!” virtual reality experiences. Harmonix has tweaked the classic rhythm game, making it more about the feel of being on a stage instead of slavishly following a note sequence. Rock Band VR’s also one of the most high-concept ideas for the Touch controller. If you bought Touch, you no doubt noticed an adapter for the game included inside the box. When the time comes, you affix the adapter to the back of your Rock Band guitar and slide the Touch controller inside to provide tracking. Weird, but pretty cool. The other reason it’s important? Well, it’s Rock Band on PC. 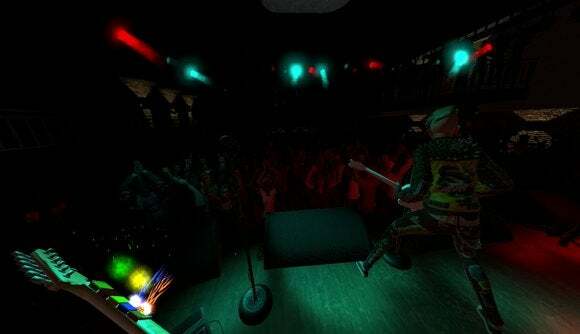 Sure, it took a detour through virtual reality to get here, and the game lost most of its instruments along the way—Rock Band VR is guitar-only. But if you’ve wanted a rhythm game fix officially on PC, here it is. Hopefully the game gets as much post-release support as its console brethren. Preorders are open now, ahead of the March release date. If you don’t have a Rock Band guitar lying around, you can grab a bundle on Amazon for $70. And though we don’t often review individual VR games, there’s a good chance this one gets the royal treatment. I expect to spend quite a bit of time with it, pretending I’m a rock star at 10 AM, in my pajamas.